A dynamic presence, Farzana continues to forge ahead in the service industry. She has a wealth of knowledge and over 19 years of experience in the domain. Having worked with a variety of customers, she can guide any diversified customer contact point. An adroit manager, she maintains and implements industry standards in service in compliance with the highest levels of professionalism and customer satisfaction. Her specialties include Project Management, BPO & CRM Operations, Telemarketing, Customer Care and New Business Development. Farzana was appointed head of the BPO Operations at Bellvantage in 2008. Brian joined Bellvantage in 2000, with 8 years of industry experience in the field of Telco customer services. Brian headed the Telco inbound contact center and was responsible for all-island branch activities, being a part of the new business office implementation team. He joined the BPO in 2008 and currently heads the Business Integration division. He is the Account Manager for all new businesses where he is engaged in strategically implementing value added services to enhance client satisfaction and revenue. In addition, he re-engineers client processes by developing custom-made process maps, and he implemented the ISO 9001-2008 Quality Management Certification for the company. 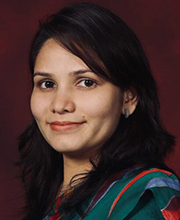 With 7+ years of experience in information and communication technology, Rasika has a proven track record in network infrastructure design, administration and system design, and development. He was rated as the highest performer for 5 years in staff performance evaluations, continuously. He joined the group in 2007 and Bellvantage in 2009 as a Senior Software Engineer. He is currently Senior Manager – ICT and Performance Evaluation. 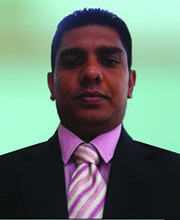 Shimreen joined Lanka Bell in 1997, and was part of the initial Customer Care team and process implementation team. 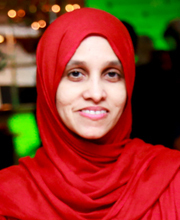 In addition, Shimreen headed the data entry team for 1 year at Bellvantage, handled operations at the Nugegoda Business office for a period of 1 year, overlooked the Call Center operations in the capacity of a senior supervisor, handled the Outbound team for a brief period of time, and overlooked the back office operations and complaint management team in the capacity of Assistant Manager Customer Care. 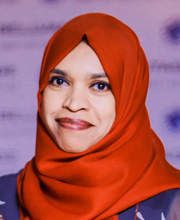 Having joined the BPO in 2009, Shimreen currently handles the entire inbound Call Center operation serving a client pool of 25 + and aligns current processes and implements new and improved processes bringing value to all client services. Harshani joined Bellvantage from November 2018 with over 11 years’ experience in Human Resources Management. She is a Member of the Chartered Institute of Personnel Management, Sri Lanka (Inc.) (CIPM) and an Associate Member of the Association of Human Resources Professionals (AHRP). She also is a Visiting Lecturer at CIPM. Henry has been in the service industry for more than 15 years, handling functions in the areas of Training and Business Development. Having worked at Huawei Technologies Lanka Co. Pvt. 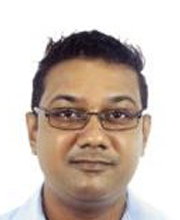 Ltd as a Solution Sales Manager, Bharti Airtel Lanka Pvt Ltd as a Senior Executive, and Dialog Axiata PLC as an Assistant Coordinator, Henry joined Bellvantage in 2014 as Business Development Manager. He has increased the sales inflow by 50% for the year 2015/2016 in comparison with 2014/2015, managed to acquire leading giants in their respective industries, and developed Pre & After-Sales strategies evaluating the competitor’s strengths. He maintains a unique price in the market-to-market Bellvantage products. 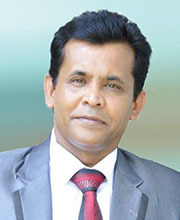 Ajantha joined Lanka Bell in July 2008 as General Manager (ICT) and simultaneously Bell Solutions in 2013 as General Manager and appointed to director board of Melsta Technologies in 2015. He was also Executive Director at Bellvantage in 2012. 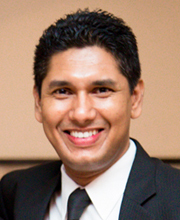 Prior to his time at Bellvantage, he was at Sri Lanka Insurance Corporation and Commercial Bank. He has also held several senior positions within the group since 2003. With a brilliant work profile, he is well suited to manage operations at Bellvantage. With over 10 years of experience in the software development, Pathum has worked at Virtusa, Brandix and Sri Lanka Insurance. He joined Bellvantage in 2008 and is Head of Systems Development. He has also held several positions within the group, such as Senior Manager – Systems Development and Manager Systems Development. 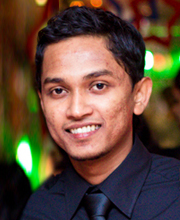 Pathum has graduated from University of Colombo School of Computing in 2006 and obtained MBA from Sheffield Hallam University (UK) in 2015. He is specialized in software project management, sales and marketing, client management and currently in charge of the software services. 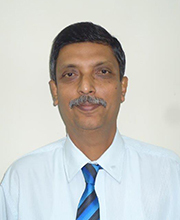 Jayantha joined Bellvantage in 2008 as Senior Manager - System Development and has more than 30 years of experience in IT sector. Prior to join Bellvantage he worked at Sri Lanka Insurance. He is specialized in insurance domain and proactively involve in designing and development of insurance products such as general insurance, life insurance and insurance broker solutions.